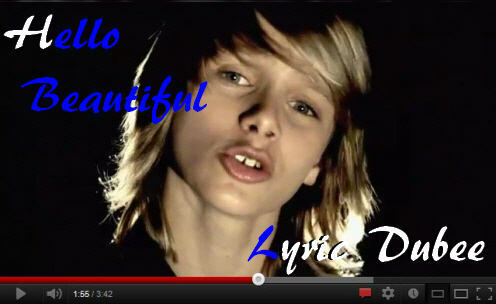 Lyric is an amazing Fourteen year old boy from Canada who writes and performs his own work. He is an outstanding young performer who is really starting to turn heads in Ontario! 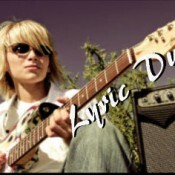 This week’s featured artist is fourteen year old, Canadian born, Lyric Dubee. Like other young talent that has been introduced here I found Lyric on his YouTube channel and was especially fascinated with his originality and sound. Immediately I recognized that Lyric was another fine example of the quality of the amazing talent that Canada has been producing through this younger generation of musicians and vocalists. I asked Lyric to do a special self introduction video for this article which he graciously created. I’m proud and excited to finally be able to embed it below for your enjoyment. 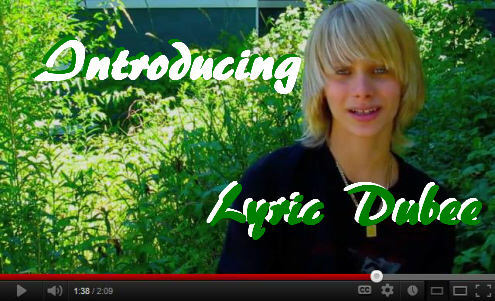 Lyric Dubee Up Close and Personal Introduction! On his 3rd birthday Lyric got dressed up like Woody, (he always loved acting) he grabbed a badminton racket and pretended play the guitar to entertain the guests at the party. Still, his parents had no clue he would eventually want to play music. 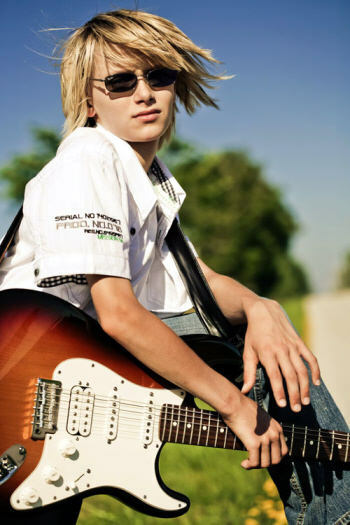 When Lyric’s dad was a teenager he was in a garage band and kept the guitar which sat in the basement collecting dust. At age 9 Lyric asked to see it and asked if he could have it. His dad said “if you learn to play it, you can have it”. The lessons began and that was the start of a new obsession. Within a few months he had landed a spot in the school talent show where he was seen and asked to play at the Barrie New Music Festival. He has performed in the festival every year since. In 2010 he was nominated for best song writer and again in 2011 when he won the award with his original song “Hello Beautiful”.